The Russian Arctic is increasingly hot. The vast area that covers an overwhelming part of the country is undergoing unprecedented warming. And in parts of the region, the heat is gaining breath-taking force. In the Kara Sea, average air temperatures in the period 1998-2018 were as much as 4,77 degrees above normal. In 2018, the biggest temperature deviation was found in the far eastern Chukotka Peninsula where the weather was 3,9 centigrades warmer than normal. For the Russian government, the Arctic temperature increase is likely to be perceived with more satisfaction than concern. President Putin has made the Northern Sea Route a top political priority and his so-called May Decrees includes a boom in shipments along the route to as much as 80 million tons by year 2024. According to Roshydromet, wintertime air temperatures along the Northern Sea Route have never been as high as in 2018. Since the late 1990s, the winter temperatures in the area has increased with as much as 5 degrees and summer temperatures with 1 percent. At the same time, the Arctic ice has shrunk considerably. 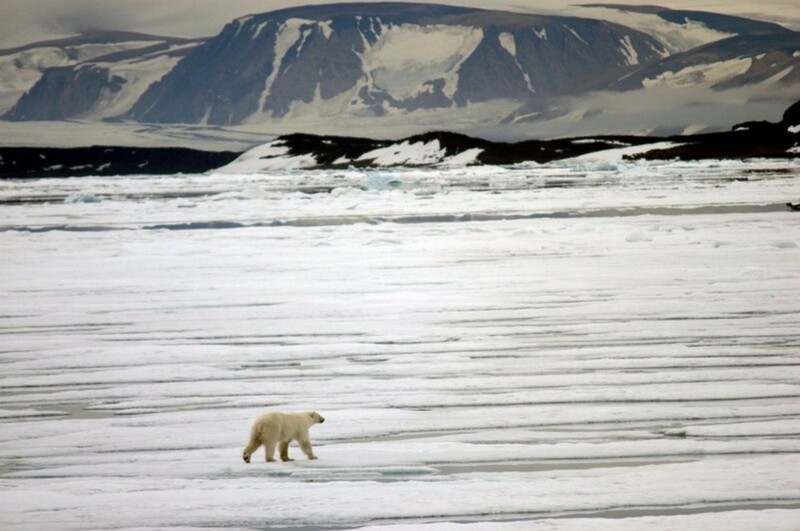 The extension of the polar ice in the area is now four times less than in the 1980s, the report reads. The trend is making shipping in the area far easier. The first voyage of the tanker "BORIS SOKOLOV" on the Northern Sea Route. At the moment, this is a record of late passage along the NSR from the Pacific Ocean to the Kara Sea. The tanker went under the wiring of the gas carrier Yamalmaks "BORIS DAVYDOV". It is a record of the NSR from the Pacific Ocean to the Kara Sea. Yamalmaks "BORIS DAVYDOV" gas tank. 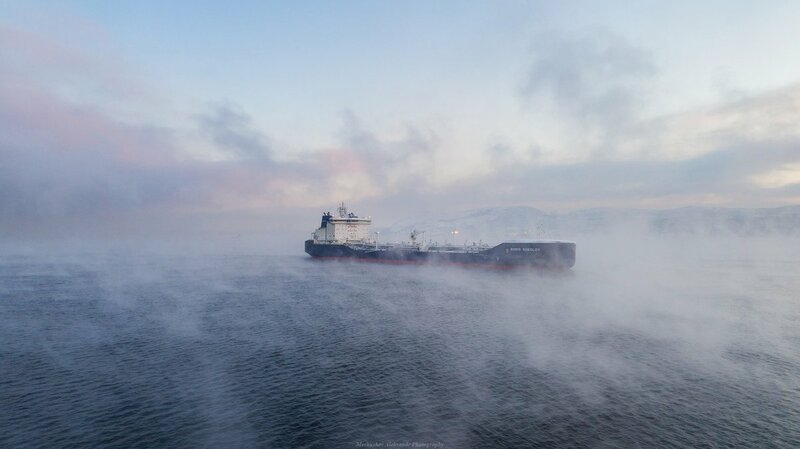 The «Boris Sokolov», a 214 meter long condensate tanker, and the «Boris Davydov», a 299 meter long LNG carrier, sailed from China and South Korea to Sabetta in the darkest and coldest part of the year. It was the first voyage of the kind. Also the permafrost is shrinking. According to Roshydromet, the biggest melting of permafrost has over the last 10 years been registered in the area of Nadym, western Siberia, where 37 centimeters of formerly frozen ground has now been turned to mud. 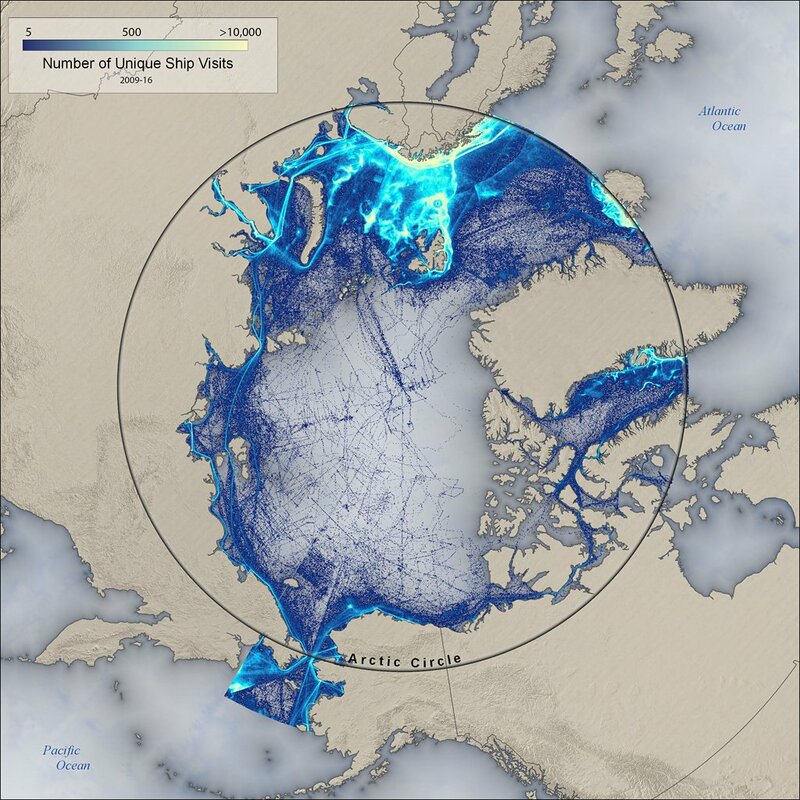 A map of shipping routes in the North Pole area in the last 10 years. Woods Hole Research Center scientists are studying the routes as sea ice changes. The same overwhelming warming is registered several places across the Arctic. In Svalbard, the Norwegian archipelago, researchers have experienced as much as 100 consecutive months with temperatures above normal.